A few years ago a patient asked me why I didn’t do a Medically Supervised weight loss program. She had issues with chronic disease due to excess weight and was tired of taking another pill. 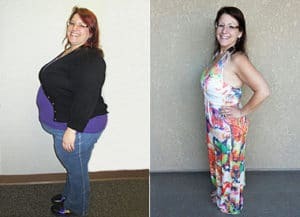 She had progressed far enough that she had lost hope with lifestyle changes to achieve the weight loss goals she needed. I did research into many programs and found the Optifast program to be among the best. Most people who look into weight loss programs have done various other programs and they know how to eat but just like my patient, had progressed far enough that they needed a “jump start”. Proper weight loss has to do with subtle changes and new habits have to develop. We all realize when we start something we want results, “right away”. Often, after a week of initiating a new lifestyle program, people get discouraged after losing “only a pound or two”. With the Jumpstart Program, we are asking patients to take a “vacation” from food. – Every 3 hours you drink a delicious shake or soup. -Weekly check in with a provider which comes with encouragement and education. -Exercise is limited the first week and then can fully resume for the rest of the program. -Average weight loss over 4 weeks is 15-20 lbs. -After 2 weeks most patients are energized and can’t believe how well they feel. – With the “jumpstart”, patients are motivated to continue with positive lifestyle changes even after finishing the program. In order to make positive changes in your health, this is a great first step. Join us for the Jumpstart Program!